Tyra Banks is reportedly stepping down as host of the hit NBC summer show America’s Got Talent after two seasons. Page Six is reporting Banks made the decision to leave the show following the success of Life Size-2: A Christmas Eve. Since the show, Banks has gotten offers and is now shifting her focus to television production. Terry Crews hosted the AGT Christmas special that aired last week and will be hosting the spin-off America’s Got Talent: The Champions, which premieres in the new year. 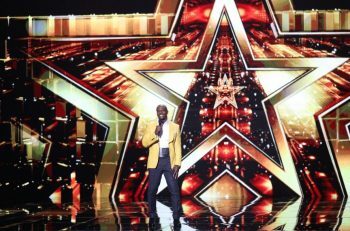 This has many thinking the show’s boss, Simon Cowell, will make Crews the permanent host in the future. Banks hosted the show from 2017-18 and was the fourth host in ‘AGT’ history following Regis Philbin, Jerry Springer, and Nick Cannon. America’s Got Talent: The Champions premieres January 7 on NBC.